The site of Hitler's Bunker or Fuehrerbunker is covered by a car park. Information signs mark the spot where the Fuehrer shot himself on 30th April 1945. 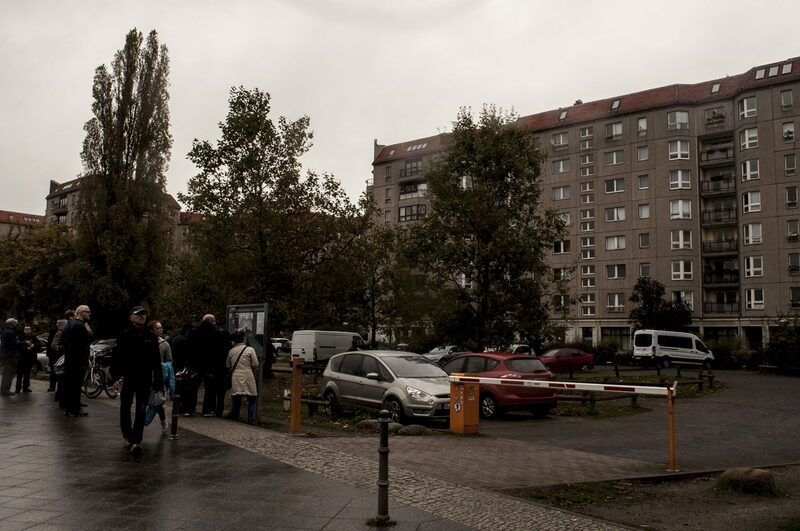 The site of Hitler's Bunker in Berlin is now nothing more than a car park in front of an apartment complex a few minutes walk from the busy Potsdamerplatz. Small groups of tourists will seek it out and find more details on an information panel installed in 2006. Photo taken in October 2017. 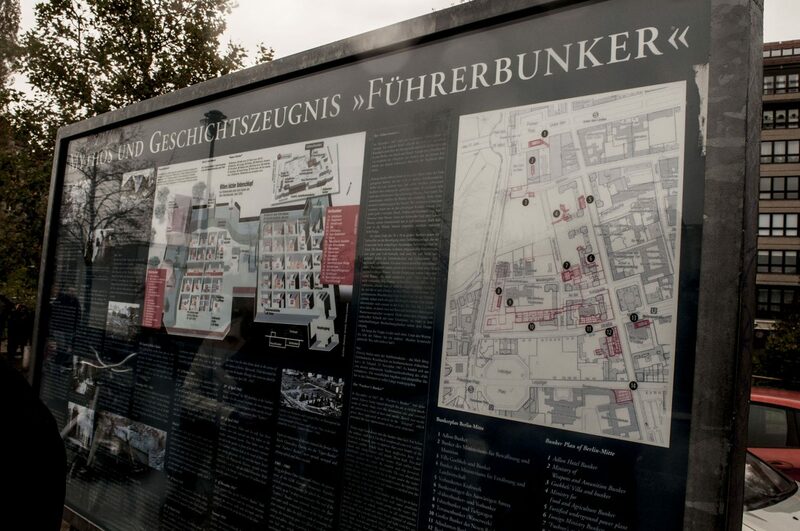 The site of Hitler's bunker, known as the Fuehrerbunker, is marked with nothing more than an information panel for tourists. The bunker complex built between 1939 and 1944 was finally destroyed by East Germany in 1959. Photo taken in October 2017. If you enjoyed this post on "Hitler’s Bunker, Berlin, Germany", please share with your friends and followers. Sergeant Henry James McAdam from Belfast, Co. Antrim was an Air Gunner with Royal Air Force 77 Squadron during World War Two. He died over Berlin in 1943. Flight Sergeant Ian Edward Maitland Borley was born in Rathmines, Dublin and lived in Co. Armagh. He was among the first RAF fatalities in World War Two. The Moltke Bridge spans the River Spree in Berlin, Germany. Completed in 1891, it was the scene of fierce fighting between German and Soviet troops in 1945. The Invalid's Cemetery is one of Berlin's oldest burial grounds. Many senior figures are buried here. It was the Prussian Army's traditional resting place. Dorotheenstadt Cemetery is a Protestant burial ground in Berlin, Germany that dates back to the 18th century. It stands next to the house of Bertolt Brecht. The politicians memorial next to Berlin's Reichstag Building commemorates those members of the Reichstag murdered because of their opposition to the Nazis.